How to Start a Travel Blog? All The Necessary Tips You Should Know! Blogging is indeed a very popular hobby these days. People make blogs to share information and express their experiences and stories. Others sign up in blog sites to make money. Travel bloggers out there share their articles for people to read. Readers are capable of discussing about the travel blog and share views about the article. You cannot start blogging without posting articles. Be creative in posting clips and pictures to make your travel blog site interesting to your readers. Also, proper layouts are essential for aesthetic elements. Layouts can be downloaded through searching online. Keep in mind that your travel blog site should be updated on a regular basis. Networking is made in blogging through posting comments. Interaction between travel bloggers will create social awareness between individuals. Register in free blogger websites except if you have your personal domain. Have an exceptional name for your travel blog which will show your awareness in travelling. Do not rush this thing. It is very essential to pick one which works you best. Your name must be memorable; it should be catchy and intriguing. Of course, you want readers to remember your travel blog name and come back time and time again. When choosing a name, ensure it is pertinent to your niche as it will help readers know what you do. Common niches are backpacking, luxury travel, adventure and solo travel. You can begin posting articles. When you are not yet done, save it first as a draft. You can put in visualization through downloading blog templates and uploading videos and pictures. Promote your travel blog through posting on other blog discussions and travel forums. If you want to make money, apply for Google Adsense. Search online for more details about Adsenses and its requirements. Writing high quality blogs must go with a picture. The subject will be improved through illustrations to provide the readers a view regarding the article. Illustrations are important to travel blogging. Pictures can get the attention of many viewers. You can upload 1 to 2 pictures in every blog. Readers who have not been that place before will have the chance to visualize the type of place it is through seeing the images you uploaded. Keyword is also essential in the articles in order that viewers could gain access to your travel blog site. Other important requirement for starting a travel blog is the internet. Make sure you have a fast internet connection, so you can update your posts every day. Have a focus: Since you’re a travel blogger, you have to make a theme for your travel blog. Find your focus on what you enjoy when traveling. Make it as your subject. There are many things which you can be interested in travelling, it doesn’t matter if it is in the famous diverse locations, people and culture, wildlife, food or anything, this will be the initial step on becoming a professional travel blogger. Do a bit of Experiment: It is hard to become a travel blogger, so do not be afraid on doing some experiments with your blog and eventually you’ll find a passion as it will be your main subject. 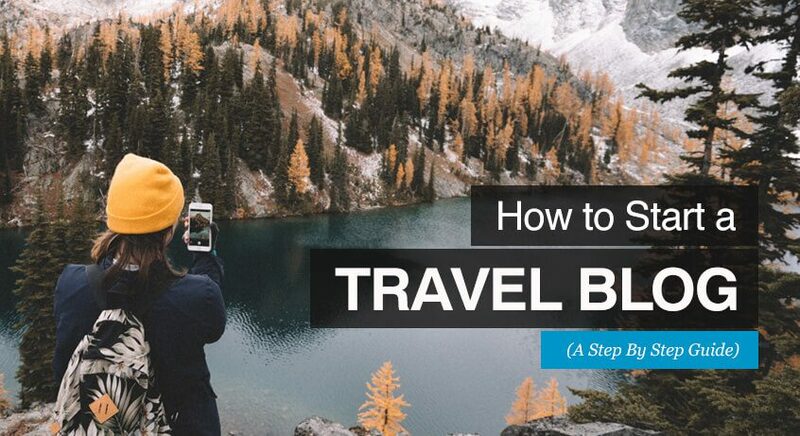 Social Media is crucial on how to start a travel blog. Social Media sites rock! People, who want to become successful with blogging while they travel, work on thriving their influence with diverse social media sites most especially Facebook, Instagram, Twitter and other popular networking sites out there. Tips on how to start a travel blog can be quite difficult, and you need experience to become an expert travel blogger. On the other hand, it could be a bit smoother if you have to master all the information and tips made to become successful. All you need to do is to keep on working and you have to be yourself, this is because people want to know what you want to express. A successful travel blogger must be determined, patient, as well as prepared particularly if challenges and issues are faced during the day. Thank you for reading our How to Start a Travel Blog guide today! How to Start a Fashion Blog, All The Tips You Should Know! How to Start a Food Blog, All The Necessary Tips You Should Know!